My novel, The Paris Effect, was written with book clubs in mind so it’s probably not 100% surprising that more than a dozen reading groups have chosen it as their book of the month. However, I am still overwhelmed when the groups invite me to their meetings. What a huge gift to hear reader reactions firsthand. So many questions! So much sharing! Everyone always laughs about the crazy “dieting rules” and especially the crazy stuff that happens to Amy in Paris. Everyone always wants to know if the Paris catacombs are real (they are). Amy’s story of yearning to escape–from her food issues, from her life–has prompted some fascinating and even touching personal stories. I am always humbled. Some humor. If a book makes you laugh, or even just smile, that book has gone a long way toward justifying its existence in the world. 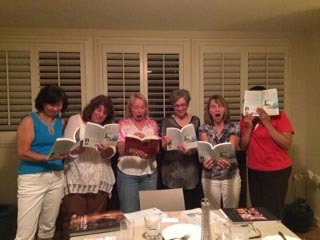 Book clubs in particular gravitate toward stories with humor (maybe because it’s more fun to laugh together). Some action. We all admire beautifully sensitive, elegantly crafted novels but most people also need something to happen. As in, readers want to be told a story. Novels without much action or discernible plots can be worth reading but they are much harder to finish. Book clubs tend not to be crazy about them, I think because the members are usually busy people, many of whom only have time to read ten or so pages at a sitting. Some information. Book club members seem to be especially curious about the larger world. They love learning new stuff about history, music, art, culture, science, geography and more. If they can learn it while being entertained (for example, like while reading a novel), then so much the better. Some art. Novels are an art form and all humans appreciate art that is beautifully produced. Yes, we can enjoy (sort of) a poorly written story–if it has simply tons of humor, action, etc. But it turns out that most of us enjoy a book infinitely more if the language is pleasing to us. As a word person, I was thrilled to find that writing still matters. Some emotion. Most book club conversations center around which characters they rooted for and which they definitely did not. 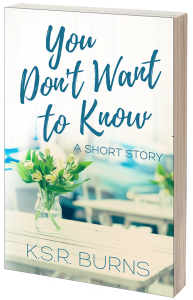 In fact, that’s the biggest thing I learned–that readers need to get emotionally involved in a story; otherwise, why bother? Unless you are feeling something real, it is just too easy to put a book aside and not pick it up again. Now that I write all this down, it sounds kind of obvious. Of course readers want a well-written story with engaging characters and an interesting plot. But, oh, when you are writing, how easy it can be to neglect action in favor of background, or forget completely about the importance of comedy. Which is why I now find that while I work I think about these five “must haves” all the time. Not only that, when I shared them with my own book club, we found that they are a good jumping-off point to evaluating most any book, fiction or non-fiction. So, thank you, darling book clubs. You have no idea the impact you’ve had, and how often your words continue to ring in my head. Nicely said and true, too! I might also add that books should make the reader think a little about their own lives.